“Open innovation”: trying to use external developers with internal APIs to develop new services and new business, the intent is definitely here. 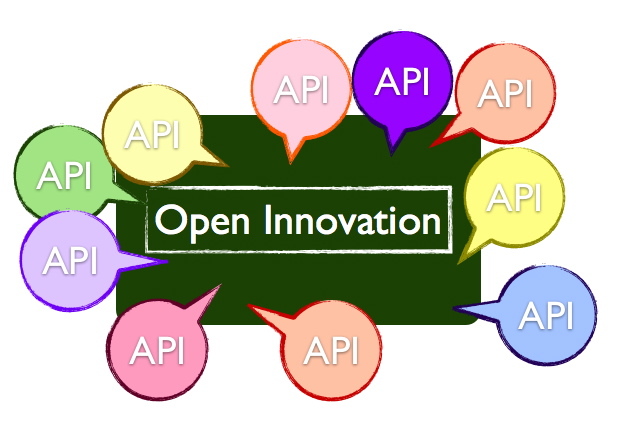 But the API model is clearly going in a bottom-up direction against the existing top down investment/resources/organisational complexity/technological constraints that each company necessarily imbed in all initiative they drive, even if they do want to change to real open innovation. Here comes a first buzz word: transformation. Transforming towards a hybrid organisational model where each link on the value chain is impacted by external developers via a set of APIs, creating a co-development eco-system that generates benefits to all. This is the view taken by 3scale, suggesting on that article that open innovation impacts organisations in the inside to make them grow along with co-innovation with the outside. They hence propose tools and services that enables companies to create product in time and in line with exact customer needs. Some companies are curious. They want to know what it looks like, meaning they want to perform tests and trials, see where it gets, how they can create disruptive yet financially acceptable business models around. The big deal is about defining those services that will serve their interest: a selective approach to use APIs and open innovation in pre-defined product strategy. Orange, for instance, have used API to specifically develop a social TV applications that “enhance content value, promote programmes and embrace new behaviours, which generates customer loyalty”. In that context, it is interesting to note the recent discussions with Microsoft to sell part of Dailymotion to the US giant. Other companies and organisations select applications developed by external players using their APIs via creative challenges, as AXA bank and insurance company in France and even the GSMA. Andy Thurai, from Intel, explains in this article that the best way companies can use APIs and external developers is to provide “enterprise grade APIs”, together with the underlying security, governance, product lifecycle management to both external and internal developers to initiate a virtuous innovation circle and provide everyone with a chance to add value without losing control over sensitive data and assets. This is the very equation business scientists (meaning those able to turn big data and APIs into business strategy) have to equilibrate, as usage, time to market and competition is increased by the API power. That power is obviously driven by the developers community companies can manage on top of controlling the API made available for open innovation, as suggested here by Mashery. It is not about losing control, it is about driving it with more “horses” in the correct direction. Atchison Frazer reminds in this article that an API strategy has to be created with the appropriate security policy: “API managers must consider how much API governance can be automated to reduce potential for coding errors. On the flip side, security issues related to governance policies, date protection, compliance adherence all need mitigation to achieve optimal business agility”. Here is the last buzzword: business agility. As this article from Innovation Excellence reminds, “API not only accelerate innovation endeavour, they generate new revenue streams, strengthen your marketing campaigns, and extend your reach in distributed business models”. 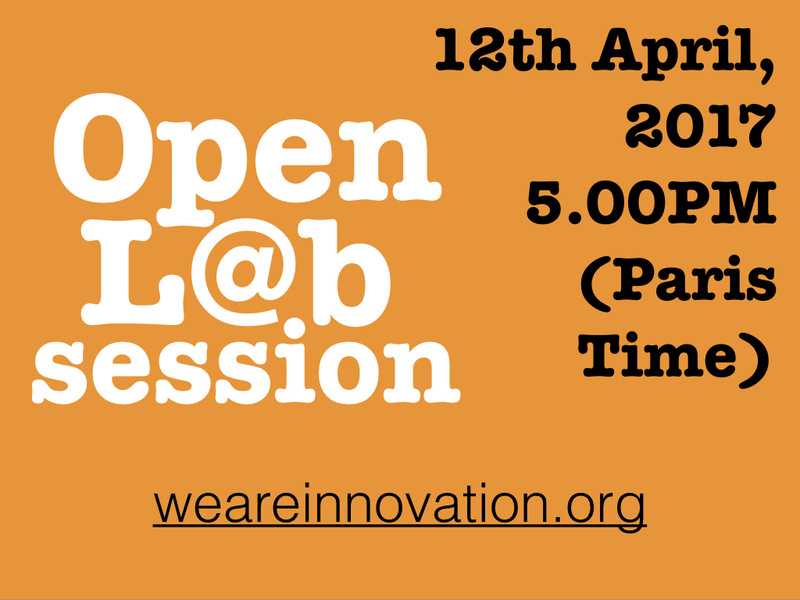 They act as an additional “lego” in the companies’ DNA, unlocking innovation potential. And as ReadWrite points out, the mobility side of API is being identified as the “spur to innovation” multiple mobile screens have to offer to millions of users in the entire world. In this API-ecosystem, it is suddenly not only companies’ responsibility to foster innovation. Developers, users, behaviours, economic trends that influence all of them as they would influence a market, it all comes and drives companies from the inside with the right API strategy. Isn’t this the definition of an agile business? Next Post Social Innovation: under construction, but that’s the whole point.